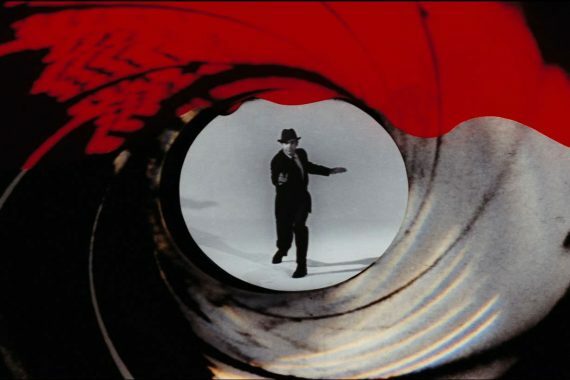 Tiffany is satisfied Bond’s fingerprints are a match for Peter Franks. Bond drinks his Scotch in the living room, then sniffs the fingerprint powder on the glass, and smiles. Tffany returns to the living room, this time a redhead, in a deeply plunging v-neck dress. Tiffany shrugs. “It’s my own,” she says. “I never mix business with pleasure,” replies Tiffany, uncorking a bottle of sweet vermouth. “Well, neither do I,” says Bond. “Good,” says Tiffany. “And we can start with saving the cute remarks until you get the diamonds into Los Angeles.” She pours herself a tall glass of vermouth. “Well, where are they now?” asks Bond. “How much is there?” asks Bond. “Fifty thousand carats,” says Tiffany.